These are just some examples of things you will never say when you have these phenomenal articles of clothing. Whether herding your flocks through the high passes above the fjords, riding dragons through the skies, or crossing the North Sea to pillage in the mysterious lands to the west, you will always have toasty extremities. Your arms and legs will feel like they are being warmed by Greta’s hearth at midwinter after a long day of training with the other raiders. But wait--there’s more! The comfortable and durable leather of the armaments is bound by a metal bracer. This proprietary technology has multiple possible uses, such as keeping the armor in its place and blocking incoming attacks. And enough can’t be said about the quality of the Viking leg and arm warmers. 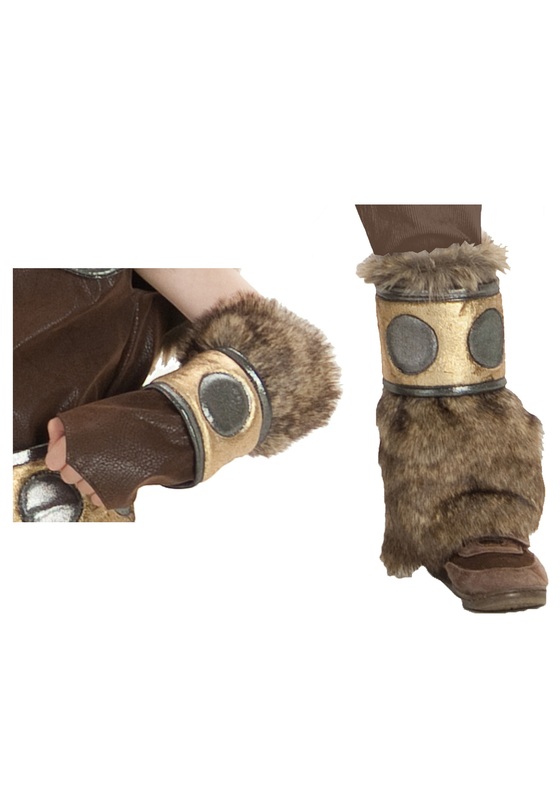 The luxury long pile faux fur of the arm warmers will be handy when combating the cold of the Norse countryside, and the Polyfoam calf and forearm bands with their gold and silver finish will give you a leg up on Bjorn, Ingrid, and all the other Vikings. Especially Harold.